Thanks to a quick trip to the mall today, I stumbled upon a KILLER deal going on at Claire’s! If you are NOT familiar with Claire’s stores, they sell a variety of items geared towards ‘tween’ aged kids. You can find ANYTHING from gimmick gifts to jewelry, accessories, keychains, notebooks, costume items, hair apparel and more! Right now they have an in store offer that will literally knock your socks off (and YES-they sell those too!). Check it out! 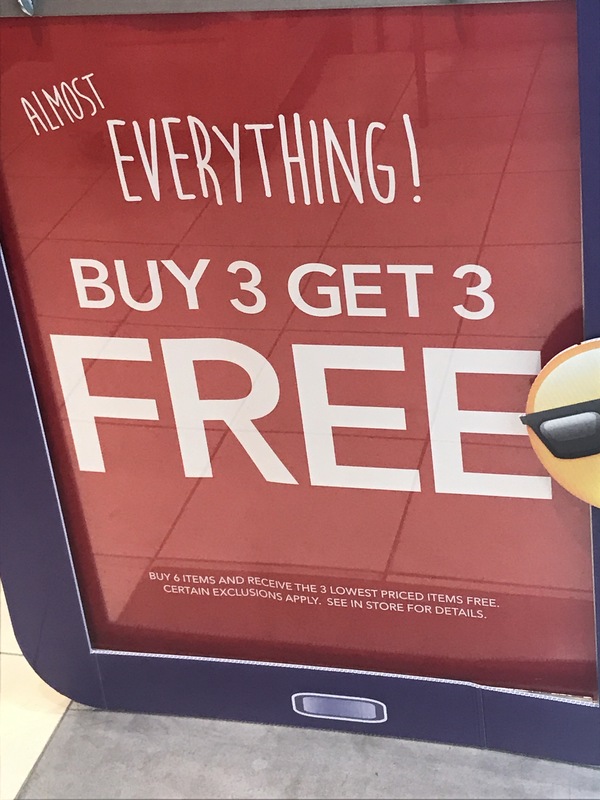 Buy any (3) items, get (3) of equal or lesser value for FREE! Some items are excluded but this will make for some KILLER deals! **Shoppers Tip…This is a GREAT place to get items to jazz up or create your Halloween. Costume!